The following item(s) have been added to your cart. The Perkins 1100 Series engine family continues to meet customers reliability and cost effectiveness requirements. The 4.4 litre, turbo charged 4 cylinder vertical in-line engine offers a compact unit maintaining bore roundness under pressure of combustion with lowered mechanical noise. The 1100A units have been manufactured for territories that do not require compliance to EPA and EU emissions. Perkins diesel motors are economic with durable operation at prime and standby duties required by the power generation industry. The canopies are made of high quality steel and are completely powder coated. The paint is a three step process ensuring protection against erosion, scratching, and corrosion. Further we give a 5 year warranty on these enclosures. Specifications may vary. Confirm full specs prior to ordering. Perkins engines have been helping businesses by providing backup power that has thousands of different applications. Known for its advanced engineering and technology, Perkins has become synonymous with high-performance diesel engines. 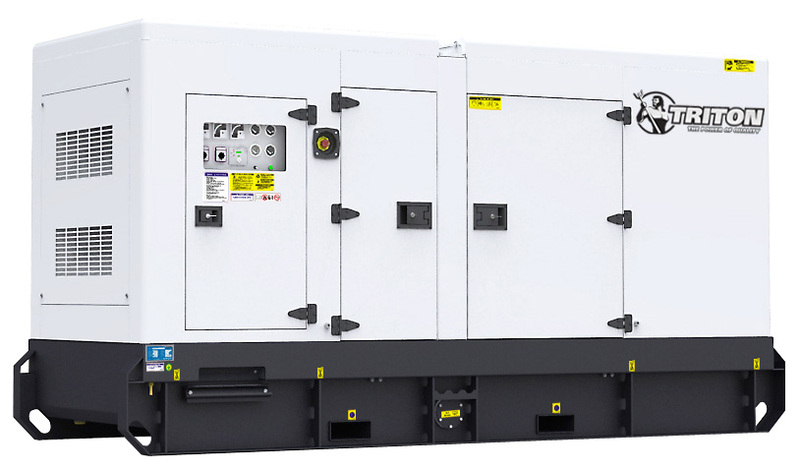 Businesses that call for backup power have trusted Perkins diesel generators with their needs for several decades, and the present is no different. 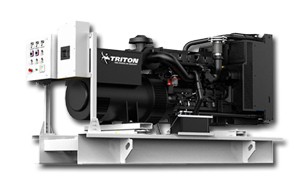 Triton Generators is a world leader in the design, manufacture and distribution of industrial diesel generator sets from 10 to 2500 kW.